United Way of Story County was incorporated in 1953 as the Ames United Fund, Inc. but was commonly referred to as the Ames Community Chest. The first annual campaigns were conducted by volunteers who went door-to-door asking for donations. Area citizens who were interested in donating turned on their porch lights so the volunteers would know they should stop. The first goal was $27,925 and the actual amount donated was $38,864. In 1985, Ames United became a county-wide organization and officially changed its name to United Way of Story County. In 2008, Iowa United Ways formed a state organization, United Ways of Iowa, to enhance collaboration efforts, particularly in the area of public policy. 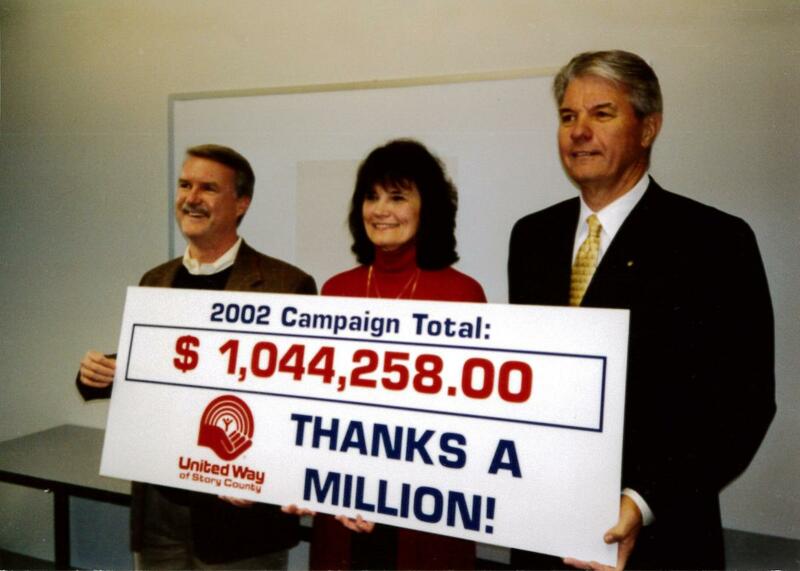 The community saw the first $1 million campaign in 2002. The first $2 million campaign was accomplished in 2014, a true testament to the continued generosity of Story County. In more recent years, United Way's work has evolved. The campaign is still as important as ever to partner agencies who receive significant funding for program support through the ASSET process. Beyond that, United Way of Story County is now more adept at responding to the ever-changing landscape of needs through grant funding and leading conversations in high need areas. United Way focuses on building collaborations to address community-wide problems, measuring outcomes for community impact and bringing new solutions and pilot projects to our communities.